You can now share views and groups with specific individual users. 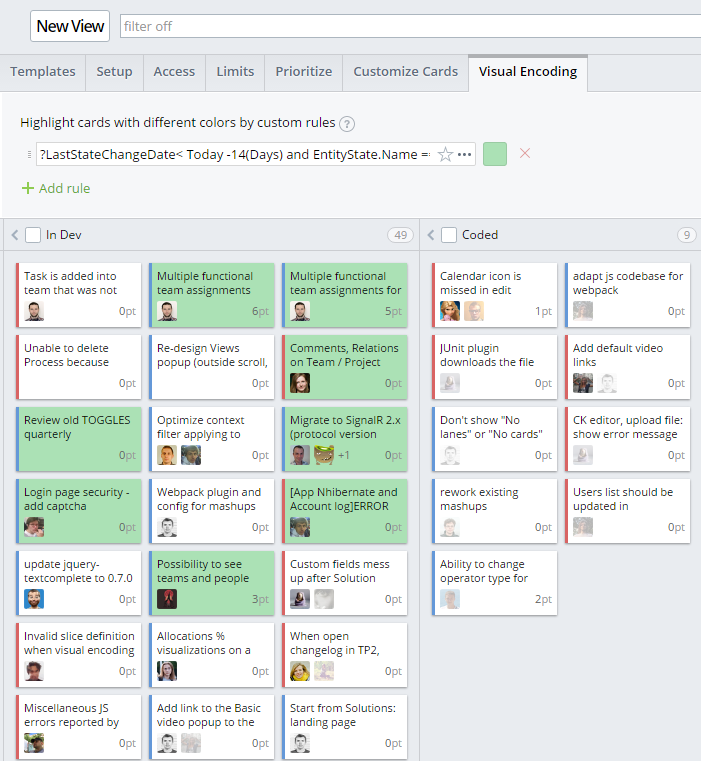 This means that you'll no longer have to create a team in order to make views visible for specific people. Just select 'Custom sharing' in a view's Access tab and choose users who will have access to your view/group. 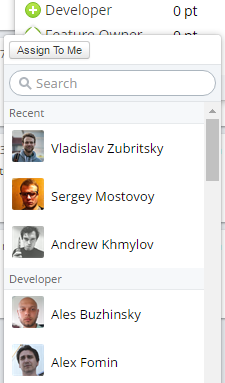 Currently, when you open a list of users to assign somebody to an item, users are grouped by role. We've now added an additional 'Recent' group that contains users who you recently assigned to work items. Please note: This 'recent' list will only be shown if the entire list of assignable users contains more than 6 people. 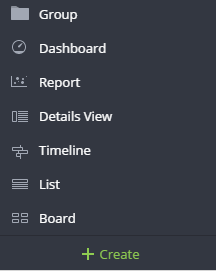 From now on, you can create a Board, List, Timeline, or Details view directly from the +Create menu. You don't need to create a board first and switch to another view mode afterwards. For example, if you want to create a list, just click on 'List' from the +Create menu. You can then proceed with the setup of the newly created list by clicking the Setup button on a blank template or on one of the predefined templates. All templates are filtered by whatever view mode is currently active.